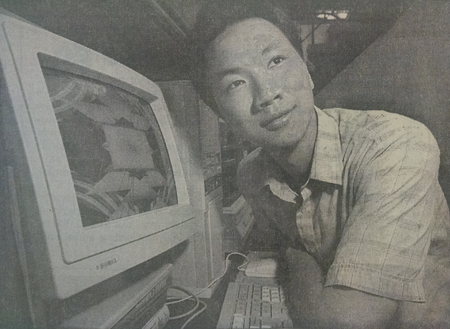 Today’s 50th Friday covers the year 1995. 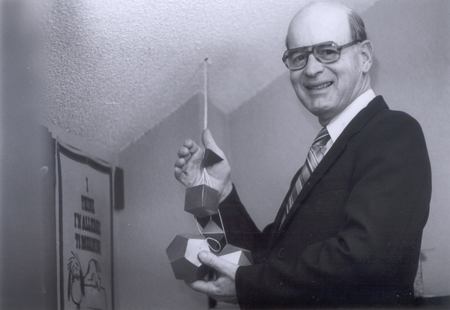 RVC Mathematics Professor Darrell Ropp was honored with the Distinguished Life Achievement Award by the Illinois Council of Teachers of Mathematics (ICTM) in 1995. The award recognizes professors for distinguished and honorable service and significant contributions to the field of mathematics education in Illinois. 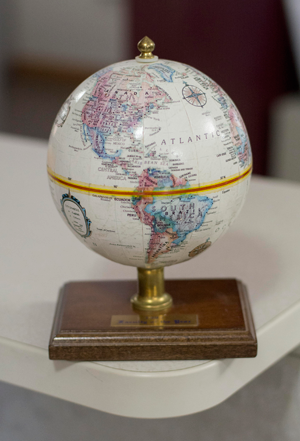 Since 1963, the ICTM has honored just one person each year with this award and to this day Ropp is the only RVC professor to have received the award. RVC sociology professor Kanwal Prashar was named an Outstanding Community College Faculty Member by the Illinois Community College Trustees Association (ICCTA). He was one of 35 instructors statewide to receive the award. Winners were nominated by their colleges based on criteria including effectiveness in the classroom, knowledge of subject matter, and impact on students. 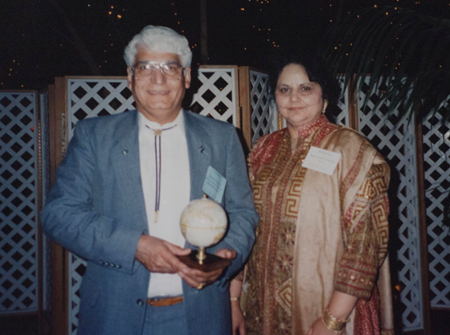 Prashar received his award from ICCTA on June 16, 1995, in Itasca, IL. Prashar had earlier that year been named Rock Valley College Faculty Member of the Year. Professor Prashar began teaching sociology at RVC in 1972 and officially retired in 2007. He is a professor emeritus and still teaches sociology and philosophy as a part-time adjunct instructor at RVC. The 1995 Starlight Theatre production of Joseph & the Amazing Technicolor Dreamcoat featured a live camel, Moses the Camel, from Jeff Lyle of JK Animal Adventures in Grant City, MO. Moses went on to appear in the “Back by Popular Demand” Joseph in 1996 and again at the 2003 Starlight Theatre Roof Opening Gala and Starlight’s most recent production of Joseph in 2006. 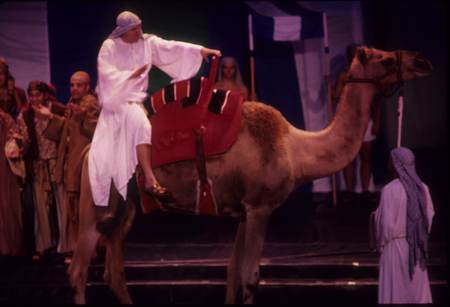 Mike Webb sits on Moses the Camel in Starlight Theatre’s 1995 production of Joseph & the Amazing Technicolor Dreamcoat. In the spring of 1995, the RVC Board of Trustees approved the changing of the school colors from yellow and brown to navy blue and gold, and the changing of the RVC nickname from Trojans to Golden Eagles. A committee was formed to decide on the new colors and it also recommended four suggestions for a new nickname: Golden Eagles, Rockets, Blue Jays, or Raptors. As part of the exciting new rollout, a new mascot was also established and a naming contest was held. RVC nursing student Marjorie Kropp won two free classes at RVC for submitting the winning mascot name: Reggie Reagle. Reggie made his debut on October 21, 1995, at the homecoming football game. Although his appearances were rarer as the years went on, Reggie remained the RVC mascot until 2013 when Arvee arrived on the scene. Stay tuned for that story in December! 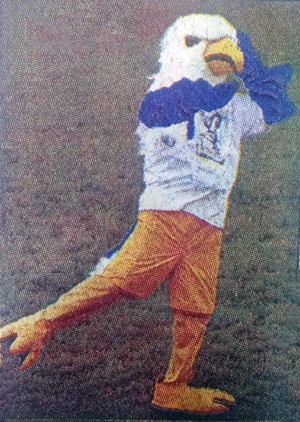 The debut of Reggie Reagle the Golden Eagle at the homecoming football game on October 21, 1995. On December 5, 1995, RVC professor of geology Tom Guensburg’s First Tuesday lecture, The Rise and Fall of Dinosaurs, set the record straight about the intelligence of dinosaurs. In short, Guensburg told his audience that what millions of movie-goers saw in the 1993 blockbuster Jurassic Park was “beyond belief.” He said dinosaurs would never stalk people because they simply were not smart enough. “Our best guess is that the most intelligent dinosaurs were about as smart as an ostrich,” said Guensburg. He went on to say of the film’s portrayal of velociraptors, “It’s difficult to imagine these animals with conniving behaviors.” In the film they are shown as highly intelligent and sophisticated animals even capable of opening doors. Believable or not, movie audiences haven’t seemed to care. The Jurassic Park films have combined to gross over 3.5 billion dollars worldwide. The most recent installment released this summer, Jurassic World, has alone grossed over 1.5 billion dollars worldwide and is already the third highest grossing film of all-time behind only Avatar and Titanic. 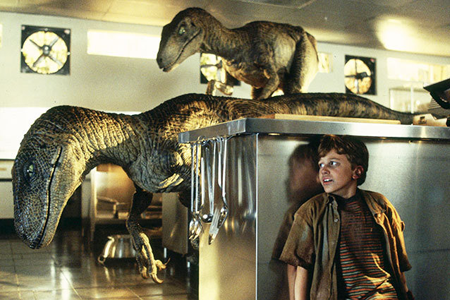 Is it possible Hollywood embellished the intelligence of dinosaurs in Jurassic Park?